Rhymes are a fun way to learn about the sounds that make up words and lead to future reading skills. The Multnomah Library has published a book with nursery rhymes to help parents find fun things to do with children that will develop future reading skills. 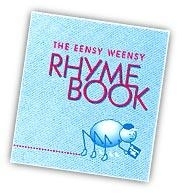 The rhymes are accompanied by motions or tips for parents in parentheses beside the words.